I’m reading a pre-release copy of a book written by a new friend, Dr. Bobby Harrington. If you cut Bobby, he bleeds discipleship. In fact, he’s one of the few people who’ve taken the time to define it. Disciple: A disciple is someone who is following Jesus, being changed by Jesus, and is committed to the mission of Jesus. For years, I’ve been saying a disciple is a “learner and follower of Jesus.” I think Dr. Harrington’s definition better . . . it goes further. 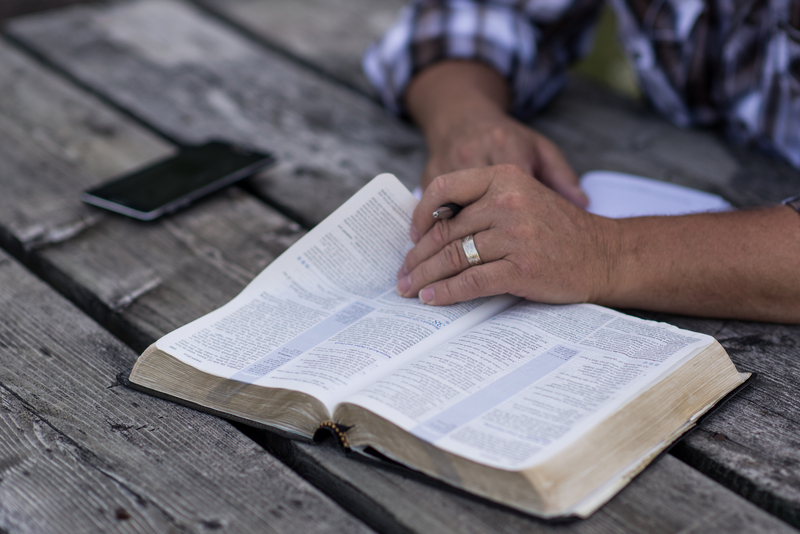 To me, “following Jesus” starts with obedience and connection. I’m trying to do what I know He wants me to do based on what I read in the Bible. Not only does God’s Word show me right from wrong, it casts a vision for how to proactively live and love like Jesus. Forgiving, accepting, challenging . . . Jesus’ life story shows us how and gives us permission. But connection carries it a step further. Back when everyone was wearing “What would Jesus Do” bracelets, it hit me that so much of what we face in today’s culture didn’t exist in Jesus’ day. He didn’t have to choose between G, PG, PG-13 and R-rated movies. He didn’t have to choose his internet content. He didn’t have children to discipline. So, I came up with a better slogan, “What would Jesus have me do?” I talk to Jesus, ask His guidance, and seek His peace (that passes all understanding) about these kinds of decisions. Doesn’t that strike you as more like what Jesus would want from one of His disciples? Personal interaction over invoking rules. That’s following Jesus. So, do you follow Jesus? . . . to the degree that He’s changing you? . . . that you’re becoming more like Him? 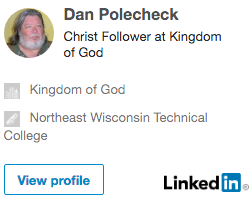 Does following Him involve helping others to find and follow Him? Posted on 10 Dec 2016 by Crusty	• This entry was posted in christian, christianity, Faith, spiritual and tagged Christianity, christians, devotional, expectations, Faith, Inspiration, spiritual. Bookmark the permalink.